alaTest ha raccolto ed analizzato 136 recensioni su Orange Rio II. La media della valutazione per questo prodotto è 3.8/5, confrontata con la media della valutazione di 4.3/5 per altri Cellulari. Le persone rispondono positivamente alla qualità fabbricazione e design. In aggiunta, portabilità e prezzo ottengono un buon feedback, tuttavia alcuni utenti hanno dubbi circa la ricezione e la fotocamera. Si individuano recensioni discordanti per quanto riguarda dimensione e schermo. Abbiamo analizzato differenti valutazioni di esperti ed utenti, età del prodotto ed altri elementi. A confronto con altri Cellulari, Orange Rio II ha ottenuto un alaScore™ complessivo di 82/100 = qualità Molto buono. 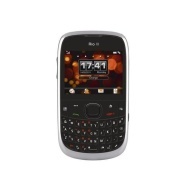 The Orange Rio II looks like it offers Blackberry-style features on the cheap, but is it the bargain it seems? A good option if you can't afford a BlackBerry. You get a QWERTY keyboard, and everything you need for social networking and messaging. The screen isn't ideal, but an acceptable tradeoff to get the handset down to this pricepoint. It may be an affordable PAYG feature phone, but the Orange Rio II surprised us with its high-end specs and great functionality. This is an ideal budget phone. it took me some time to work out how to text with it. I had the rio phone before this one, and thought it would be similar to operate. I am really pleased with this mobile. It does everything that I wanted. Just used old Sim Card as didn't want a monthly contract so number transferred as did all my contacts. The alpha numeric keyboard is an absolute treat to use for texts. Great phone for a teenager, son loves it. Looks like a blackberry. easy to use and fair battery life.